Android Smartphone is all fun due to the vast freedom we enjoy in it, It is easy to use and having a wide range of features.But the most important thing is that our smartphones have become the secret keepers of our personal and professional life. Whether it be personal photos, videos, contacts, financial information or business emails and files, you cannot risk losing any information to an outsider at any cost. So if you want to sell your old device as you are interested in buying a new one, or probably exchanging a better one. Then before giving away your phone, it is a must that you remove all the accounts, passwords, and all the user data. Performing only a factory reset on the phone might be a good idea to solving some of the problems but not a foolproof one as information saved in your phone can still be traced and sometimes recovered if the other person is having some technical knowledge. So today in this post, I am sharing the best way to Erase data from Android Smartphone that can’t be recovered. Open Settings and tap on Backup & reset.If you didn’t see the option you have to backup all the data manually to the Computer with the help of data cable.If you found, then move to the next step. You should see an option called Backup my data. Make sure that it’s ticked. Now go Back, and then find Accounts. Tap on Google. You’ll see your Google account which was used to set up the phone with a green sync symbol next to it. Tap the account. Make sure that all the options are ticked, All of the data from the smartphone will be backed up automatically to the Google+ account. This takes a long time, So First you need to connect your phone to the charger to proceed. Go to Settings > Security and tap Encrypt phone. Tap Encrypt phone again to proceed (You might need to try it a few times. ).The process can take an hour, and so you’ll have to wait. Once this is done, just reset the phone. Under “Personal,” tap Backup & reset. You may need to enter your pattern, PIN, or password. Under “Personal data,” tap Factory data reset. Read the information and then tap Reset phone. If you have a screen lock, you’ll need to enter your pattern, PIN, or password. When prompted, tap Erase everything to erase all data from your device’s internal storage. When your device finishes erasing, select the option to restart your device. You’ll see the “Welcome” screen as you did when you turned on your device for the first time. “Go to” or “Boot in” Recovery mode. When your phone reloads, you should see a screen that says “No command” with an android robot in distress. Press and hold the power button, then press the volume up button once to load up the reboot menu. Set up the smartphone after factory resetting it. This time, make sure no email details or personal details are added. Once the setup is complete, Just fill the whole memory with junk files and media. We are suggesting you because this will overwrite the free space with junk data. so if someone tries to recover data he will only get these junk files and media. If you feel uncomfortable with these steps then there are two software available that also can permanently erase deleted data on Android, including photos, videos, contacts, text messages,ID’s and other personal information, and the best thing is that no data recovery software can restore them back. MobiKin Eraser for Android allows users to erase data like contacts, call history, text messages, notes, safari history, etc. from all kinds of Android phones or tablets permanently and completely. MobiKin has tested for a lot of Android devices and be sure the released version can help you erase data on your Android devices permanently, completely, and no opportunity to restore. Support wide range of smartphone. Erased data can’t be recovered. Support most of the file types. Available on Windows and Mac. Visit Here to use the trial version or buy Mobikin Eraser for Android. When I was searching for some of the best tools, That can Erase All the Data from Smartphone Permanently i found Wondershare’s cool product “Wondershare SafeEraser “, It is designed to protect your private information, It is an all in one phone eraser tool to clean your iPhone iPad and Android devices data.Wondershare SafeEraser works on both Windows and Mac OS X, including Windows XP, Vista, 7, 8, 8.1 and Windows 10. Mac OS X 10.6 ~ 10.11.So you can give this amazing product a try. Connect your Android device to the computer. You may be asked to install MobileGo connector on your device, please install. Click the Erase All Data button. Before you can continue, you need to read the instructions carefully. And then type ‘delete’ into the box to confirm your action to delete the data. Finally, SafeEraser will give the report what kind of data was deleted and how much of them. Caution: This action will PERMANENTLY erase all data and can NOT be undone, please make sure you’ve backed up the data in case of any data loss. Click here to try Wondershare SafeEraser Tool and know more about it. Once the page is loaded, it will automatically try to connect with and locate your phone. Even if it fails to connect, you can still send the “Erase” request. As soon as your phone is back online, Android Device Manager will do all of the remaining tasks. 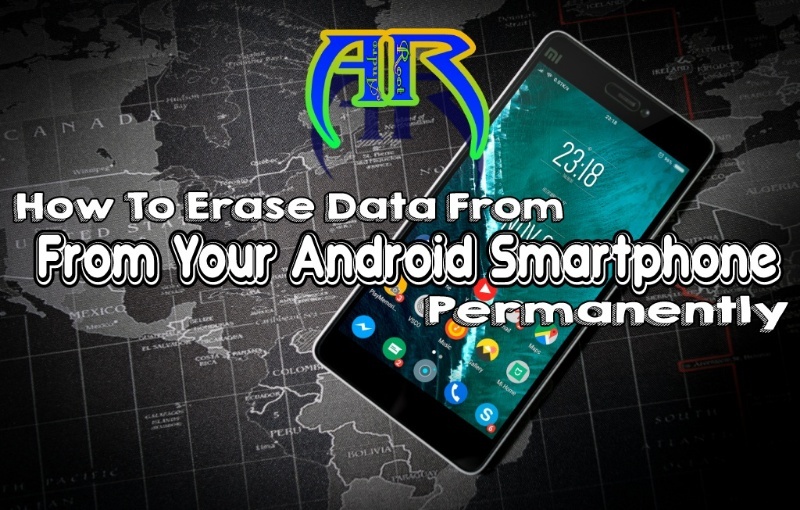 So In this Post we have talked about the simple and advanced methods to Erase data from Android, even after losing it now at the end of the post I am happy to say that your privacy is little bit safe, all above steps are enough to permanently delete data from your smartphone and now you can sell or exchange your smartphone and you don’t have to worry about your privacy or data of old smartphone. Previous Article Is ChatOnGo for Business the next Big Thing?